This post is sponsored by Dr Pepper®. All thoughts and opinions are my own. 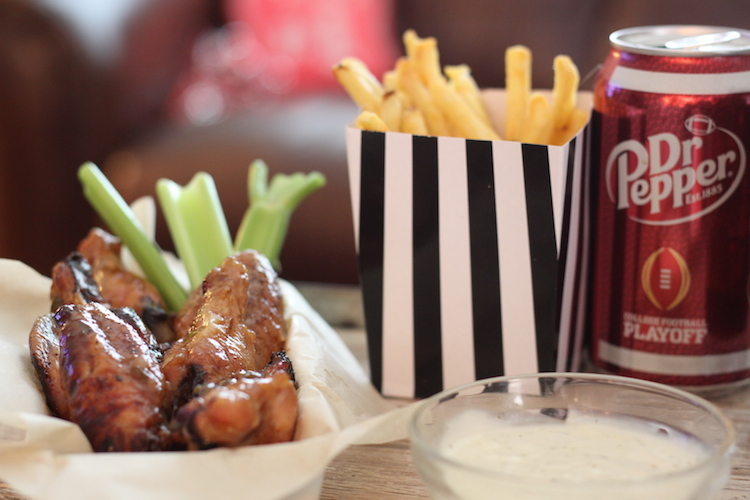 It’s once again football season, which means your weekends are filled with family, football, fun and good food! 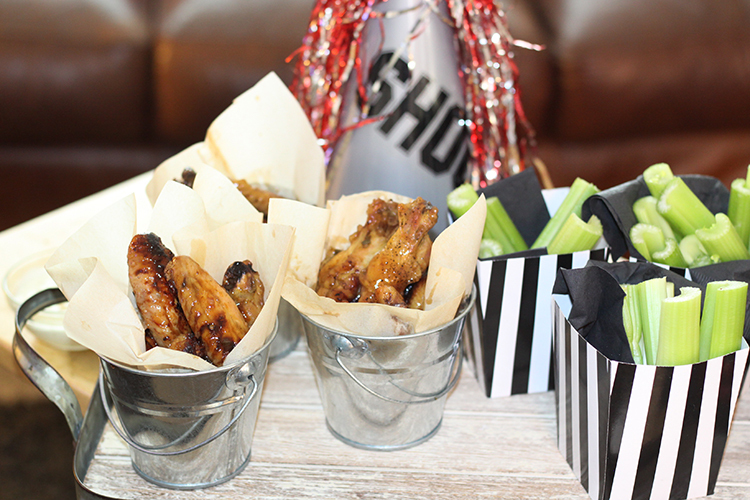 We love watching the NCAA games and rooting for our favorite college team. 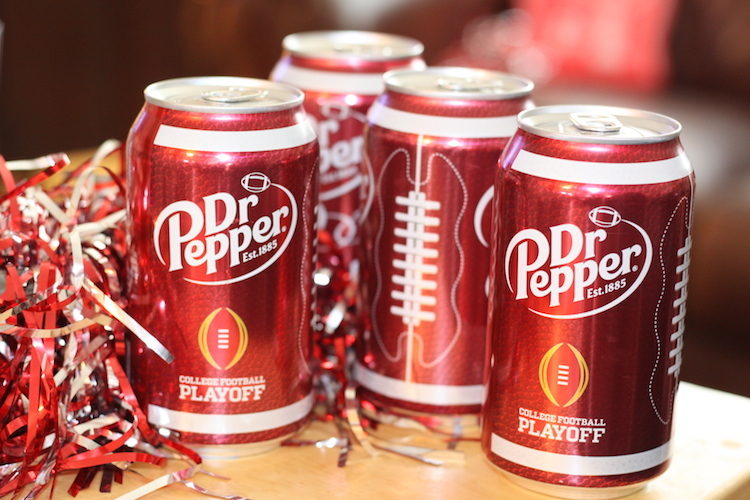 You can stop by Target to pick up all your game day necessities including Dr Pepper and the fixins you’ll need for your hungry football loving fans. Now through October 21st, you can save 25% on Dr Pepper with the Target cartwheel™ offer. 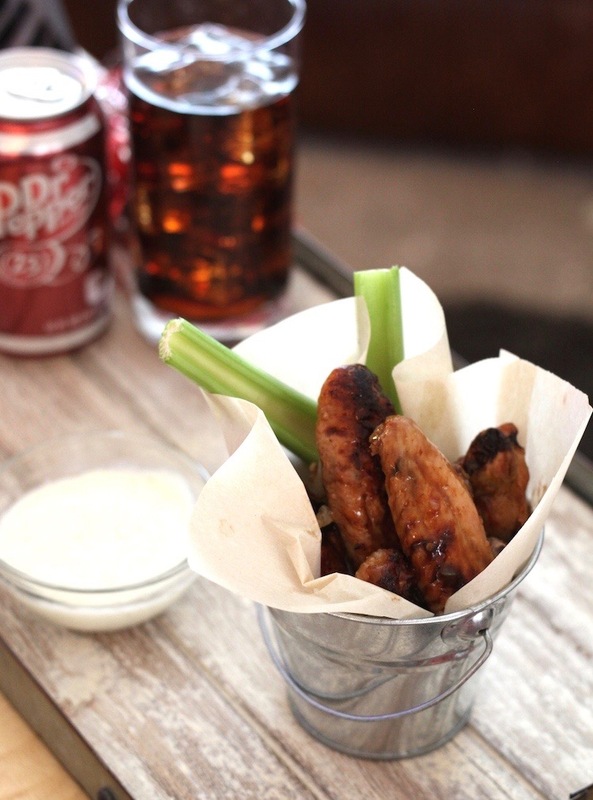 Finger foods make the best game day snacks, and nothing is more perfect for the game then these Dr Pepper Game Day Hot Wings. I’ve got the recipe, so you can make some too. They will be a crowd pleaser! Preheat oven to 375 degrees. Line baking sheet with foil and place wire rack on top of the baking sheet. Spray rack with cooking spray. 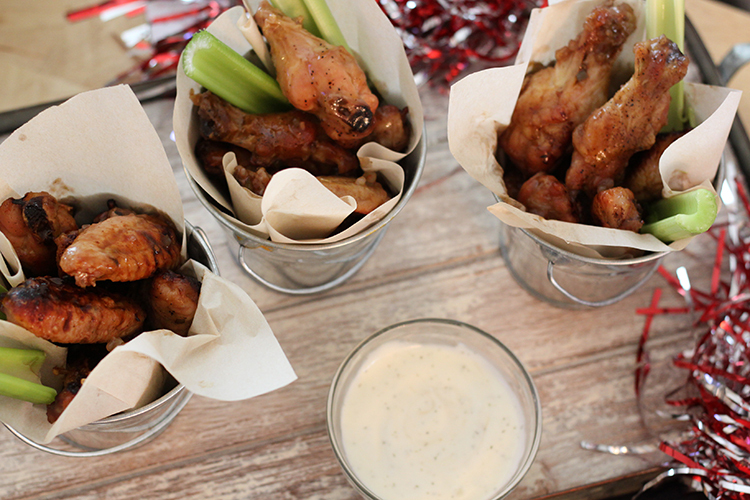 Place chicken wings onto rack and season with salt and pepper. 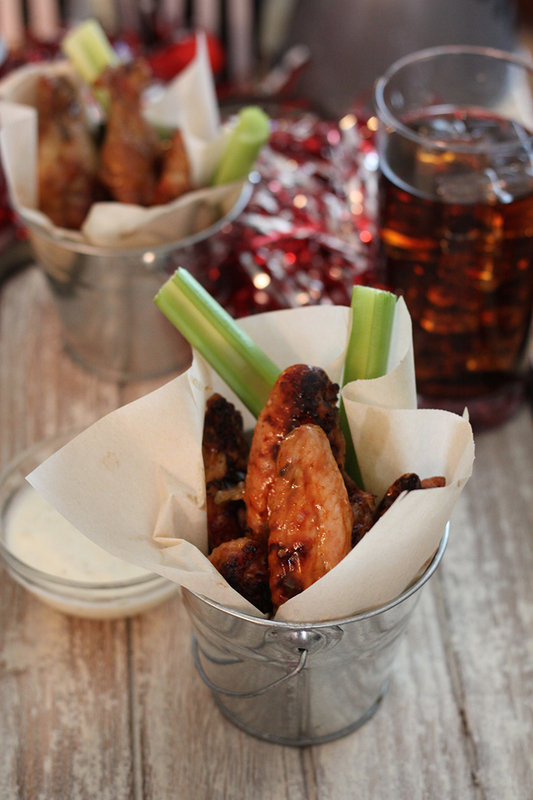 Bake wings for one hour, making sure to turn them over halfway through baking. While the chicken bakes, you’ll want to make the yummy sauce. In a saucepan, add 2 cans of Dr Pepper, hot sauce, brown sugar, finely chopped jalapeño, garlic powder, pepper flakes and whisk until combined. Bring to boil, then reduce heat to low and simmer for 30 minutes. Once the 30 minutes are up, whisk in cornstarch and heat for another 2 minutes or until the sauce thickens. Remove wings from oven and add them into the pot of sauce. Toss to coat well. Enjoy! 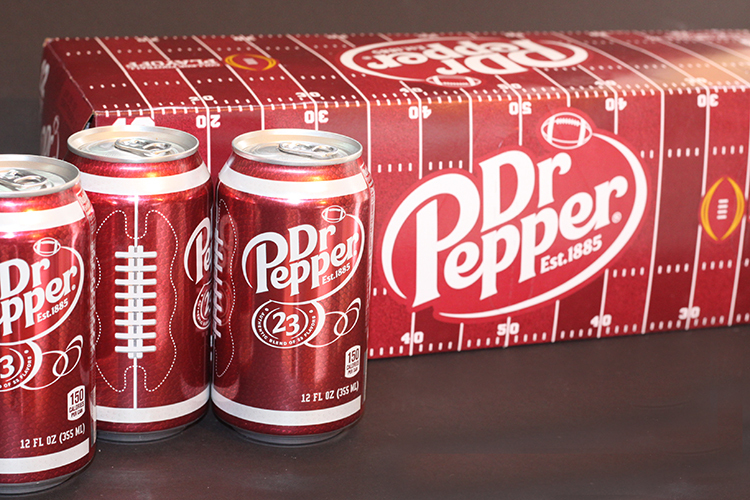 Make sure you download the Target cartwheel™ offer to save 25% on all Dr Pepper trademark products. The offer is valid 10/1-10/21, so you have a couple of weeks to save. Don’t forget, all of the cartwheel™ offers have moved to the Target app. 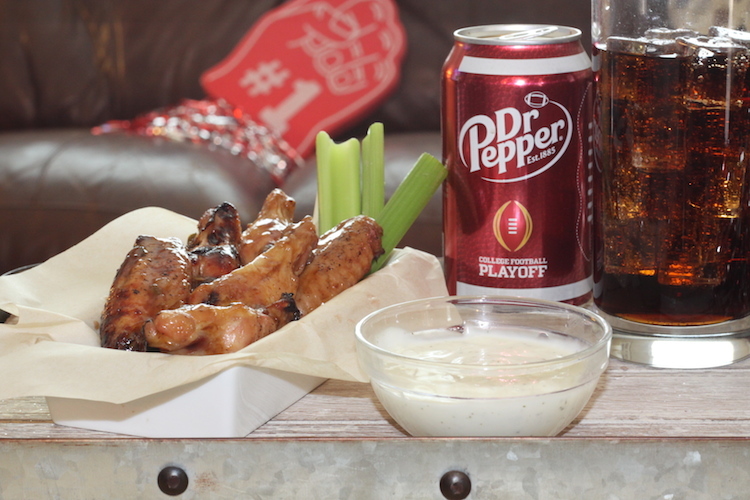 Of course, you can also pick up some Dr Pepper to drink too!